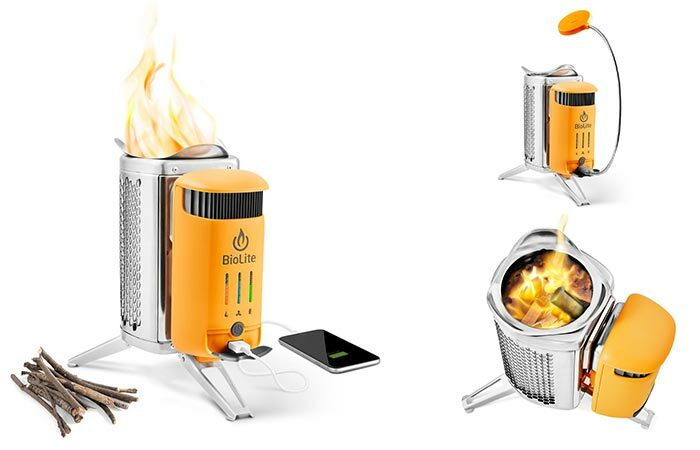 BioLite CampStove 2 | Charges Your Phone With Fire! If you aren’t familiar with the BioLite CampStove, it’s a small camping stove designed for small fires. This can be used to heat you up, cook some chow, or, impressively enough, charge your mobile. Well, of course, the second generation will be much better, so we are proud to introduce the BioLite CampStove 2. Compact, efficient, and better than the first model, the CampStove 2 is a much sought after device for camping trips. The CampStove 2 has 50% more power to charge your mobile. It also has a built-in 2600mAh battery. Basically, the CampStove 2 features a few upgrades that makes it a truly remarkable little stove. At first glance, you’ll be pleased to know that it features 50% more power than the first model. It also comes with an integrated battery, as well as an updated LED dashboard. The Dashboard gives you more control and feedback. Check out the video below. The Biolite CampStove 2 also features a built-in fan to make a smokeless fire, as well as an upgraded LED dashboard for more control. In addition to this, the CampStove 2 comes with a fan that creates a smokeless fire. This fire is sufficient enough to cook meals and boil water in minutes. All of this whilst harnessing the thermal energy for electrical production. You can either charge your devices directly, or simply allow it to be stored on the built-in 2600mAh battery. The CampStove 2 is also compatible with BioLite’s KettlePot and Portable Grill. This truly makes it an essential camping accessory. Get it from BioLite here. 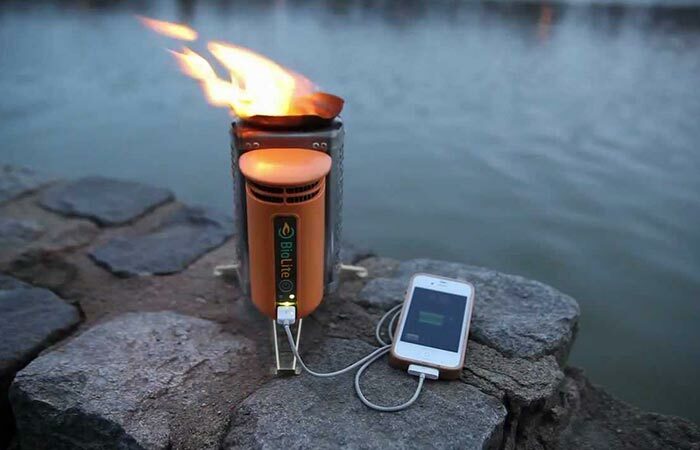 Homepage » Gear » BioLite CampStove 2 | Charges Your Phone With Fire!